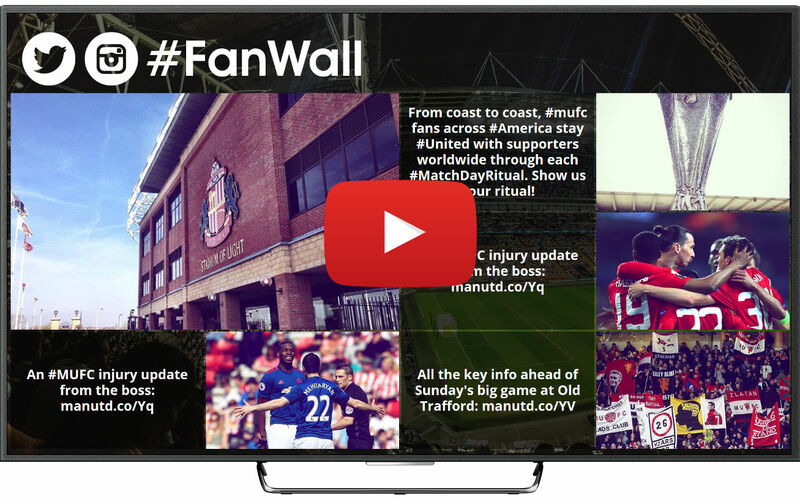 Multiply your Twitter reach by displaying tweets with hashtags on your screens with our tweetwall solutions. 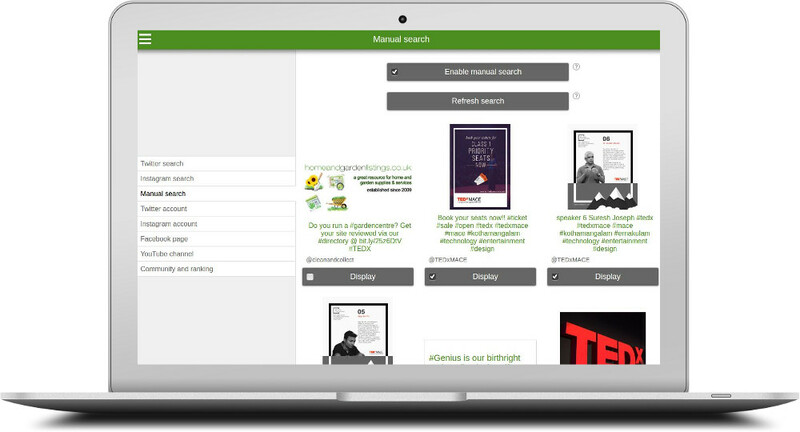 Looking for a tool for displaying Twitter tweets with hashtags on your screens? 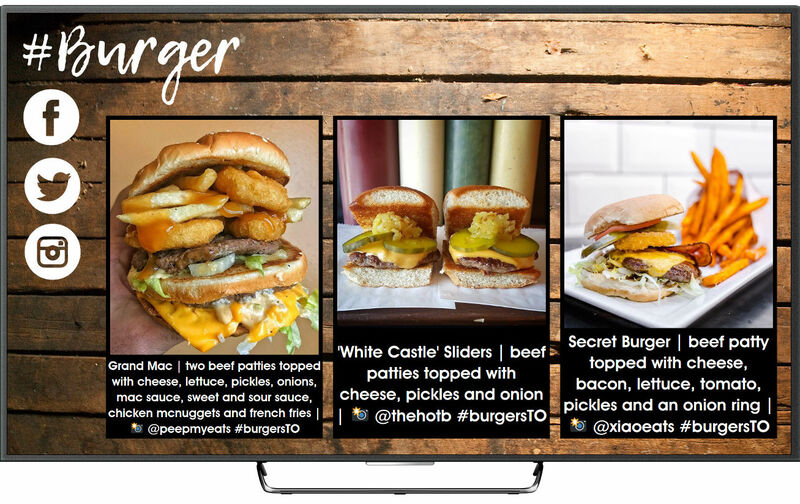 Our solutions allow you to collect real-time Twitter tweets and display them on your monitors, TVs and projectors in a free, simple and professional way. Start displaying Twitter tweets with hashtags on your screens today and boost their impact and reach in social media. Web-based Twitter tweet wall: no extra software nor hardware required. Just connect a PC or laptop with Internet access to your monitor, TV or projector and use a standard web browser to display our solution on your screens. Let's display your Twitter tweets on your screens! With an experience of more than 15,000,000 Twitter tweets, pictures, GIFs and videos, 8,000,000 Instagram pictures and videos, 5,000,000 Facebook photos and 1,000,000 YouTube videos displayed in more than 5,000 screens of more than 20 countries worldwide we can help you to show Twitter tweets on your screens. We develop solutions to display Twitter tweets with hashtags on screens on a reliable and secure way, let's talk!